Konrad was born on April 2, 1980 in Warsaw. He grew up surrounded by musicians and artists – his father was a bass guitarist and his grandfather – a violin player. Although in primary music school he used to play the violin, bass sounds accompanied him all the time.. It is necessary to mention that also during his further education playing the violin was not totally satisfactory for Konrad. At the age of thirteen, after one of the exams, the examining board suggested changing the instrument and, as he has never been a tiny person, they suggested something bigger. As it turned out a bit later, the school had had one old, dusty double bass which they did not know what to do with. After a long deliberation the school authorities decided to employ a double bass teacher especially for Konrad. That was a moment of a huge change in his life. 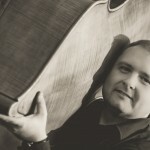 Konrad began his professional career in secondary music school. He performed with many orchestras all over Europe. At the same time he started cooperation with Folk Song and Dance Ensemble of Warsaw University „Warszawianka” With this ensemble he played hundreds of concerts travelling around Mexico, France, Belgium, Italy, South Korea, Germany, Spain and many other countries. In secondary school he studied both classical and light music. He used to play a lot of chamber as well as symphonic music taking part in many workshops and master classes in Poland and abroad. 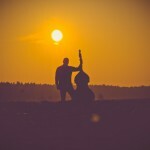 For some time he was a student of two best secondary music schools in Poland – classical and jazz school – simultaneously. After that he exchanged the famous “Miodowa” (classical school) and “Bednarska” (jazz school) for so called “Okólnik” and became a student of The Frederick Chopin University of Music in Warsaw (at that time called Chopin Academy of Music). It brought about a lot of respect and resulted in many concert tours. Had not it been for his wife, he would not have received his student’s registration book. When other students were present at the Ceremony of Matriculation, Konrad played a concert for Polish President in Belgium. At that time he realized that his profession requires a lot of dedication and … confidence in law enforcement agencies. The concert took place right after 9-11 WTC Attack and very strict security measures were introduced…nobody knew the exact venue of the concert. Apart from jazz repertoir, he also played several classical pieces. 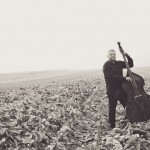 A long-term fascination with NHŘP resulted in master’s thesis entitled „Niels-Henning Řrsted-Pedersen – life and works; aspects of musical performance analysis and the contribution to the development of double bass playing techniques”, which received a very positive reception. 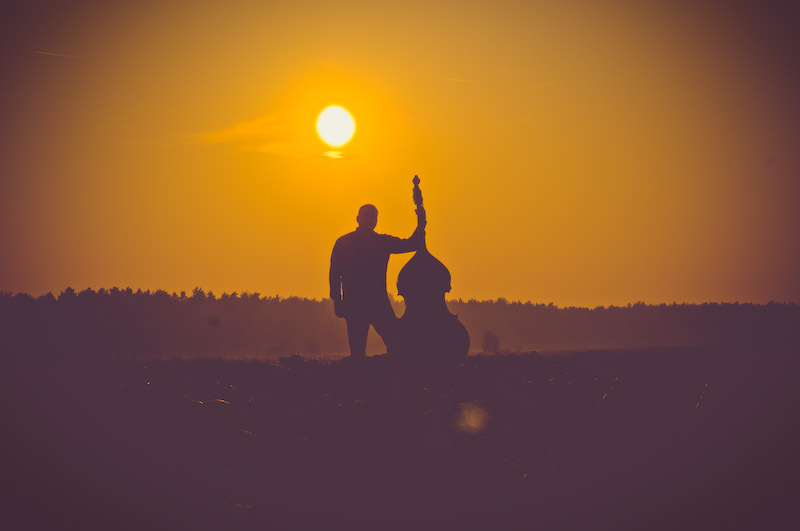 A switch from the violin to the double bass resulted in greater fondness for making music in various ensembles. 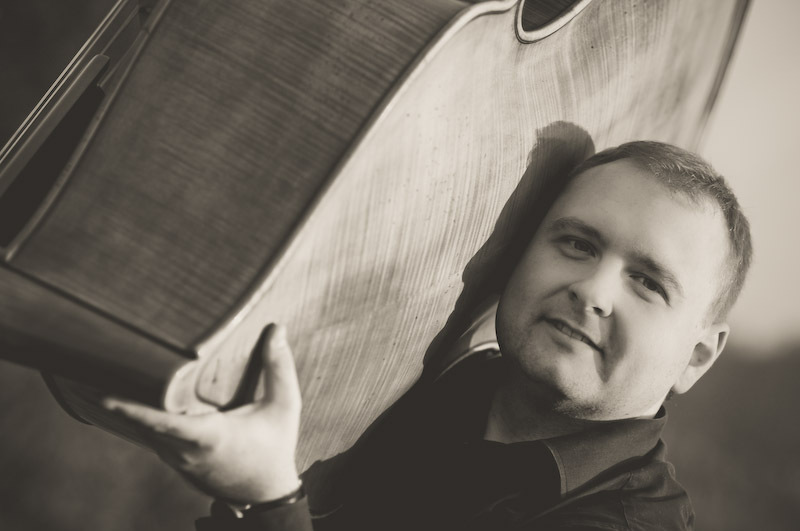 Konrad has cooperated with many Polish orchestras. 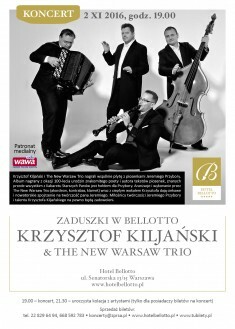 As a soloist he has recorded, together with Warsaw Philharmonic, works of Krzysztof Penderecki for a prestigious German Record Label – Naxos. He has recorded several dozen programmes for TVP, Polsat and TVN. He has taken part in many festivals as a rhythm section member. An inborn sense of humour, classical music education and an opinion that music has many faces resulted in cooperation with Filharmonia Dowcipu – a classical orchestra unconventionally interpreting both classical masterpieces and light music hits. Konrad also shares his musical experience with young enthusiast both as a school teacher and during workshops and master classes. He likes to spend his leisure time playing the instrument or resting with his wife, most willingly under the Spanish sun.